Alex Klinge is Head of the Department of International Business Communication at the Copenhagen Business School. His research interests include Morphology, Syntax, Semantics-pragmatics interface, TAM-categories and Germanic nominal structure. Modality: Studies in Form and Function reflects the diversity of theoretical frameworks and the heterogeneity of linguistic phenomena under the general heading of modality. Researchers in the fields of logic, philosophy and linguistics have for many years been pondering the elusive nature of modality and grappled with ways of capturing it. The 11 studies included here cover the span from contributions that seek to clarify controversial theoretical constructs to studies which take an empirical approach to linguistic categories and cross-linguistic typological issues. The key concepts addressed are the structure of modal subcategories, subjective vs. objective modality, force dynamics, evidentiality, Spanish and English modal auxiliaries, modal uses of Italian tenses, linearization patterns in German verb chains, determinant TAM categories, modal polyfunctionality across languages and rapport management in discourse. This volume raises new questions and offers re-examination of known phenomena which should provide interesting reading to linguists and students of linguistics of all theoretical persuasions. Modality: Studies in Form and Function reflects the diversity of theoretical frameworks and the heterogeneity of linguistic phenomena under the general heading of modality. Researchers in the fields of logic, philosophy and linguistics have for many years been pondering the elusive nature of modality and grappled with ways of capturing it. 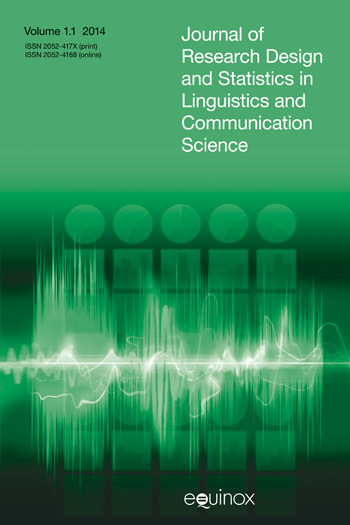 The 11 studies included here cover the span from contributions that seek to clarify controversial theoretical constructs to studies which take an empirical approach to linguistic categories and cross-linguistic typological issues. The key concepts addressed are the structure of modal subcategories, subjective vs. objective modality, force dynamics, evidentiality, Spanish and English modal auxiliaries, modal uses of Italian tenses, linearization patterns in German verb chains, determinant TAM categories, modal polyfunctionality across languages and rapport management in discourse. This volume raises new questions and offers re-examination of known phenomena which should provide interesting reading to linguists and students of linguistics of all theoretical persuasions. 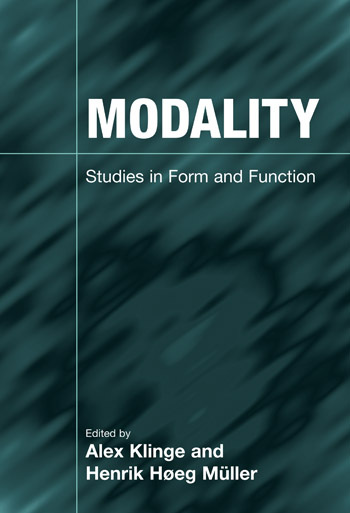 PAPERBACK EDITION PUBLISHED OCTOBER 2010 Modality: Studies in Form and Function reflects the diversity of theoretical frameworks and the heterogeneity of linguistic phenomena under the general heading of modality. Researchers in the fields of logic, philosophy and linguistics have for many years been pondering the elusive nature of modality and grappled with ways of capturing it. 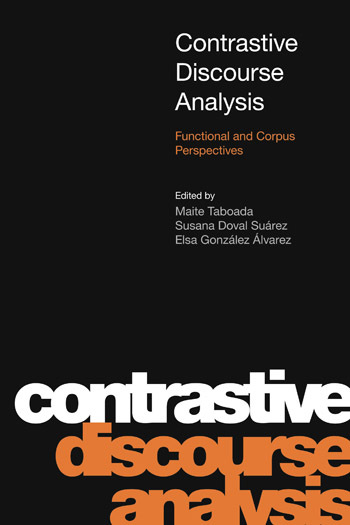 The 11 studies included here cover the span from contributions that seek to clarify controversial theoretical constructs to studies which take an empirical approach to linguistic categories and cross-linguistic typological issues. The key concepts addressed are the structure of modal subcategories, subjective vs. objective modality, force dynamics, evidentiality, Spanish and English modal auxiliaries, modal uses of Italian tenses, linearization patterns in German verb chains, determinant TAM categories, modal polyfunctionality across languages and rapport management in discourse. This volume raises new questions and offers re-examination of known phenomena which should provide interesting reading to linguists and students of linguistics of all theoretical persuasions.